Posted Sep 21, 2018 by Eds. A group of union leaders, popular economy advocates, Senegalese street vendors, and militants from the Excluded Workers Movement and CTEP (MTE-CTEP) were taken into jail by Argentine police, in a situation marked by a high dose of violence and violation of their human rights Buenos Aires City. This happened on Tuesday, after the unionists and the workers from the mentioned popular movement tried to support Senegalese workers while they were being harrased and taken into prison by Buenos Aires City local authorities. 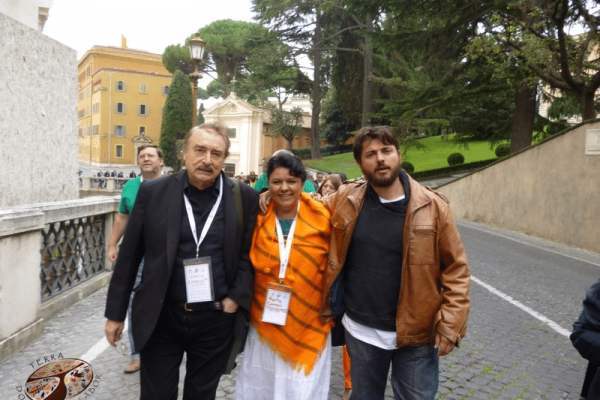 Juan Grabois, lawyer and founder the Movement of Excluded Workers (MTE). 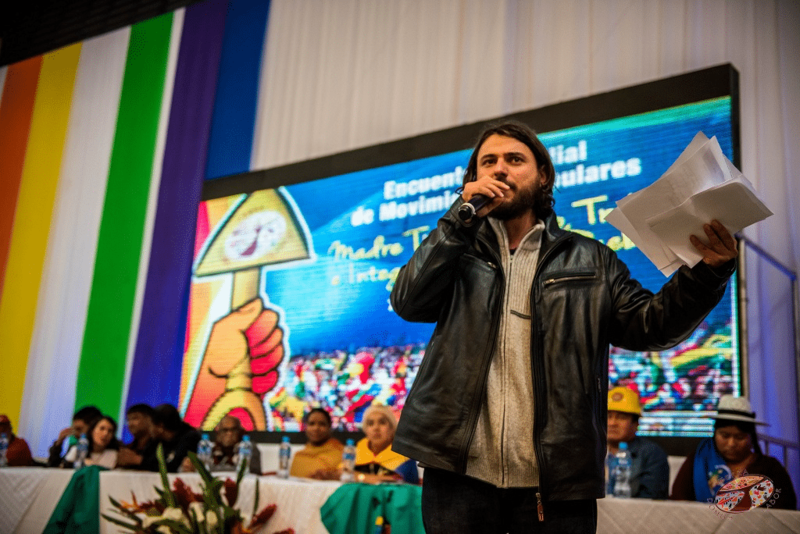 One of the prominent social leaders imprisoned was Juan Grabois, a lawyer who founded the Movement of Excluded Workers (MTE) in 2002. This organization gathers waste pickers, street vendors and other informal workers and strives for them to have dignified lives. Grabois is also a unionist leader of the Confederation of Workers of the Popular Economy (CTEP), a very unique trade union born in 2011 that today has more than 100,000 members from the informal economy. Since 2016 he is an ad-honorem advisor to the former Pontifical Council for Justice and Peace. 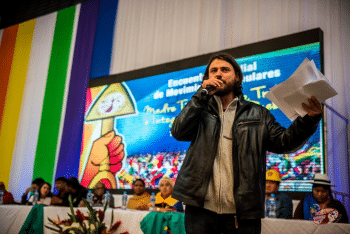 The MTE and the CTEP are involved with the situation of Senegalese street vendors in Buenos Aires City, which is one of the most precarious groups of people at this moment. It is estimated that about 4,000 Senegalese people live in Argentina; most of them in Buenos Aires. Working in Buenos Aires is not easy for the Senegalese street vendors: the government is so obsessed with sweeping them away from the streets, that keeps on persecuting them once and again. As they do not know the local legislation and do not speak Spanish thoroughly, the authorities and the security forces do whatever they want with them: they steal or take away their goods from the public space and even from their private households. In this context, on Tuesday evening, a new act of police harassment took place against the Senegalese street vendors who work daily in the neighborhood of Constitución, where CTEP headquarters are based. Trying to defend them from violence, several militants of the MTE tried to put a halt to the police action. The response of the security force was the arrest of workers and militants. As a result of this violent episode, a spontaneous rally at the conflict zone demanded the release of the workers and its militants. 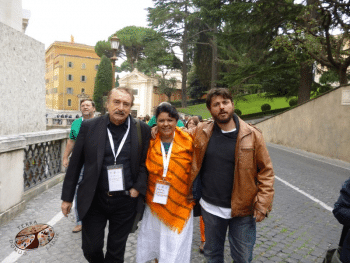 This peaceful and small demonstration was fighted back with an army of police, gas pepper, beatings, repression and the arrest of Juan Grabois, and another recognized references of the CTEP, such as Sergio Sánchez, Jacquelina Flores and Rafael Klejzer. 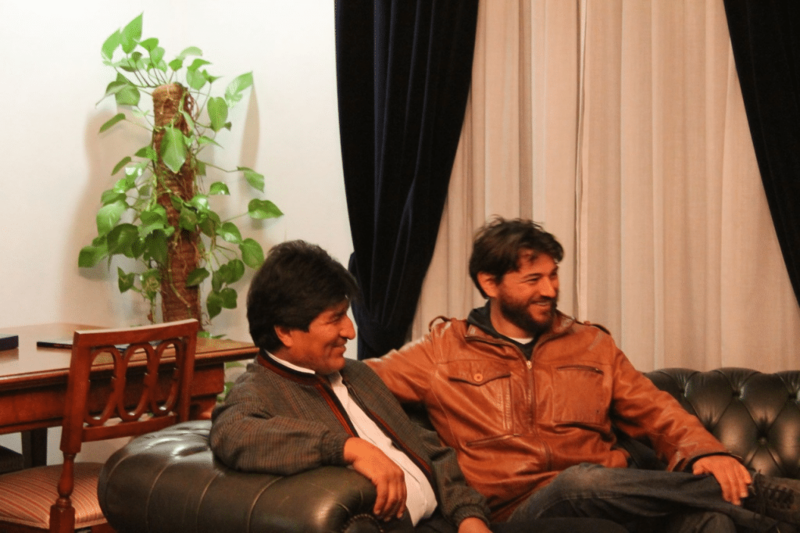 Juan Grabois with Evo Morales. Thanks to the social pressure exerted-a massive crowd convened immediately in front of the police station where the workers and militants were being detained-, the arrested workers and social militants were released around midnight. 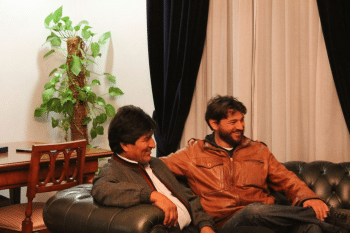 The statements of the leaders after their release were focused on their deep worry about the human rights situation and claimed for respect of the constitutional right to work for everybody in Argentinean soil.